Our pizzas are hand-tossed and served with your choice of Martolli's tomato sauce, garlic-olive oil base, house pesto* or sun-dried tomato base (homemade sauce with garlic, olive oil and infused with sun-dried tomatoes). 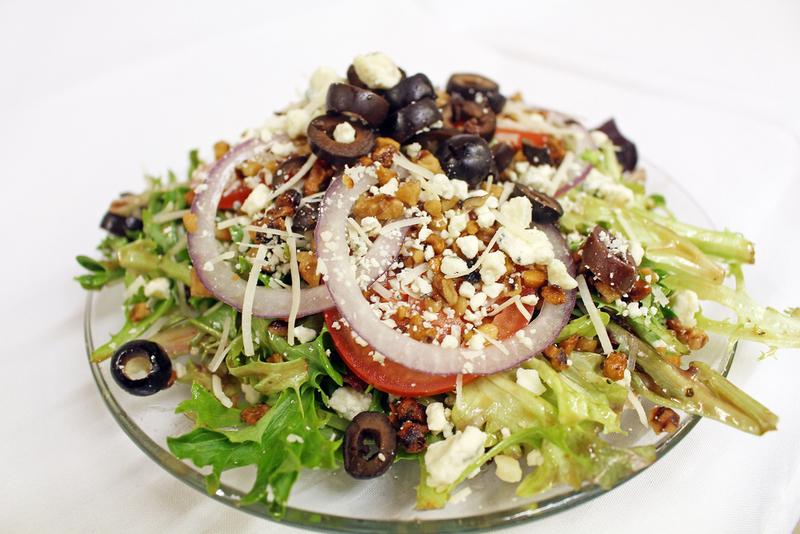 If you have any allergies or dietary restrictions we will do our best to accommodate you. 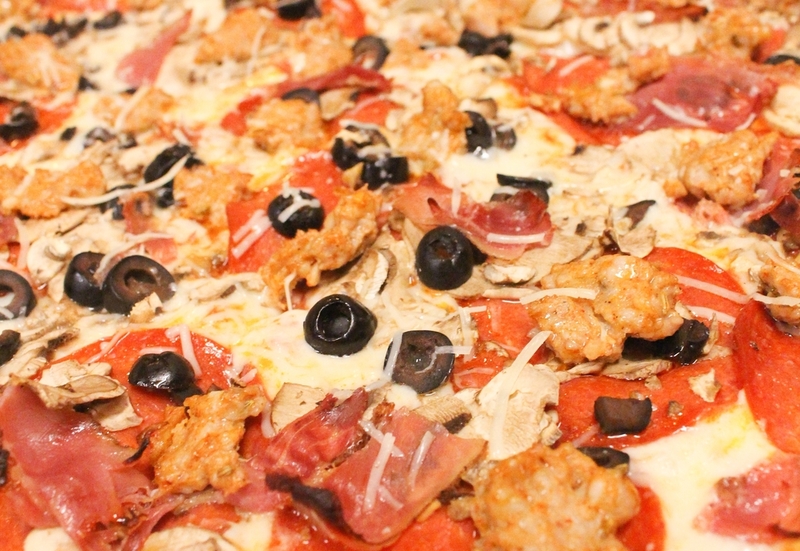 We offer Organicos gluten-free crusts in our 10” (small) or 12” sizes and have a vegan cheese option as well. In addition to our favorite pies, we welcome you to make your own from our list of available ingredients (see Build Your Own). *Please note that our homemade pesto does contain walnuts and Parmesan cheese. 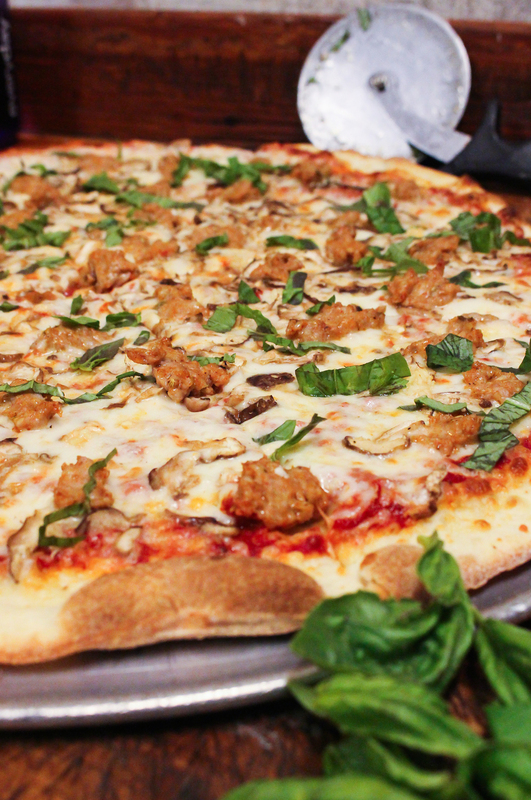 Add Pesto for $1, $1.5 or $2 to a personal, medium or large pie, respectively. *Please note that our pesto contains walnuts and Parmesan cheese. We offer a soy-based, vegan cheese for those seeking non-dairy options. See below for prices. Please allow a few extra minutes for our delicious calzone to cook - worth the wait! 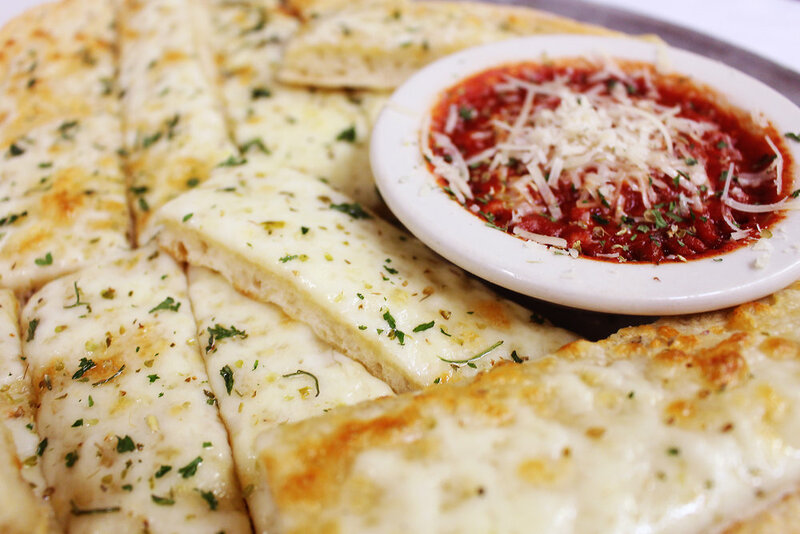 Our rustic appetizer is a thick slab of focaccia bread slathered in Italian cheeses and/or an herb medley, cut and served with hot marinara for dipping.